Have you ever wanted to move your browser's address bar from the top to the bottom on Mobile? Ofcourse it's possible on Chrome browser for mobile. Moving the address bar from the top to the bottom on mobile is really cool than where it is at the top, but having it at the top is also cool on PC. 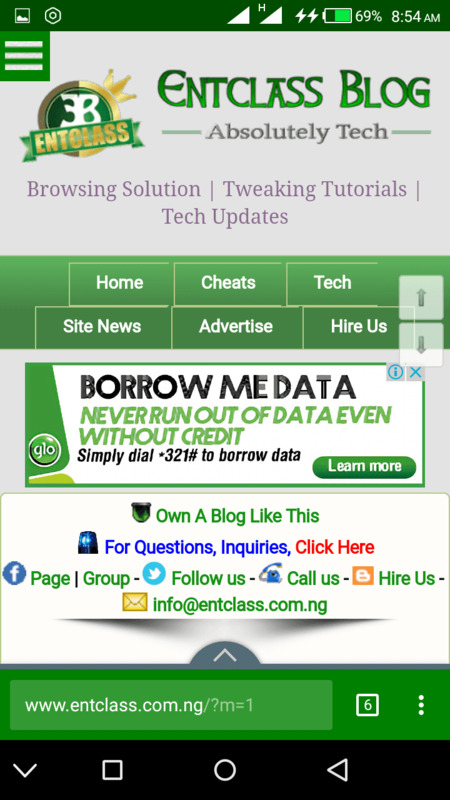 You can move Chrome address bar from top to the bottom on mobile in few easy tweaks. Though, some might still prefer the default location which is at the top, while some others might find this cool and gives them more user experience using the browser. Some reviews from users said having the address bar at the top on mobile isn't so friendly, especially when we have got phone with wide screens. This is because, when the address bar is located at the bottom, we don't have to stretch our hand just to input a URL. Normally, we hold our phone in the bottom half of the device and address bars (and other navigations) located at the top of the screen results in a lot of stretching and hand movements. It is a common thing we face in most mobile web browsers. 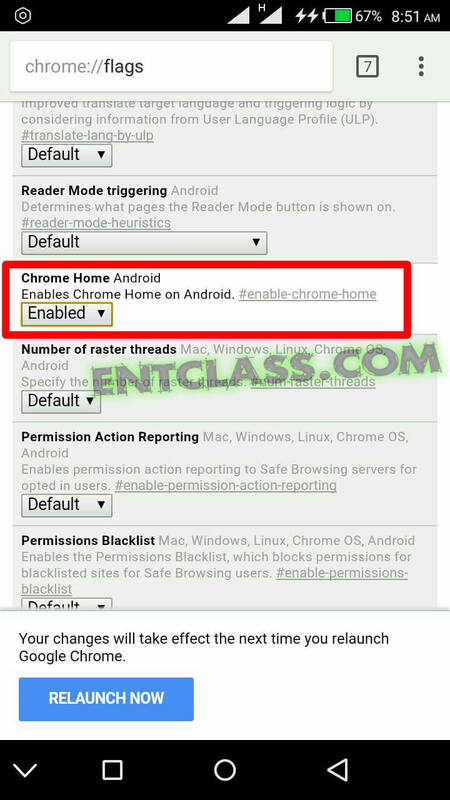 I will be guiding you on how you can move the address bar of Chrome browser from the top to the bottom on your mobile phone. You can do this if you are not comfortable with the default location of the address bar. This is a simple tweak to move the address bar of Chrome mobile browser to the bottom. It's very simple but a little bit technical. Don't worry, I'm here to guide you through. As we all know that Chrome browser is the best browser for browsing and surfing the net on mobile, because of its simplicity, friendly user interface, speed and its developer features. I will urge you all to start using Chrome browser to browse on mobile. You won't regret doing so. I have my reasons. >> First of all, Open your Chrome browser, or install from Playstore if you don't have it on your Android phone. >> Tap the Default button and select “Enabled” there. >> You will be prompted to Relaunch Chrome. Kindly relaunch it. >> After the browser restarts, the address bar will display at the bottom of the screen, just like mine below. 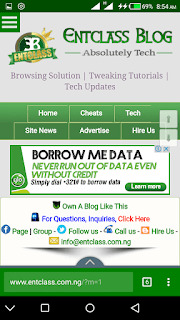 We hope to see Chrome, Firefox and other mobile browser developers to make the address bar bottom position as default. It's very simple, just repeat the steps above, and when you get to Chrome Home Android, just select Default and finally, Relaunch your Chrome browser. That's all. Simple like alphabet. If you are confused, kindly use the comment box below. Lol... Tried this and it worked.. .